This recipe came about in honor of “baby brina” being the size of a pineapple. 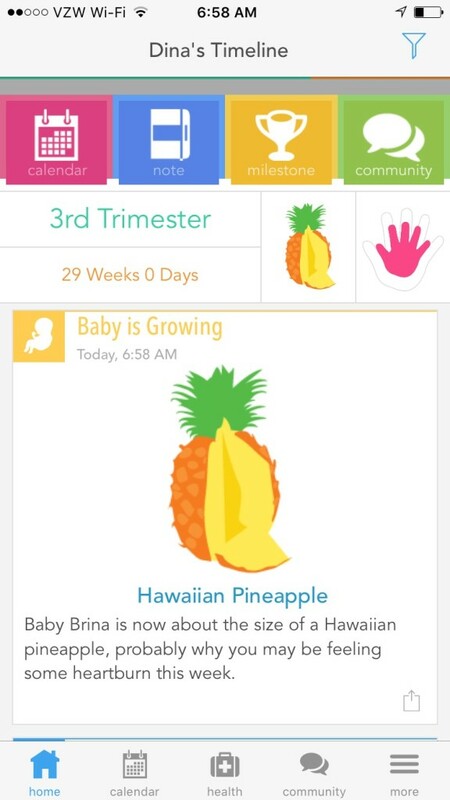 I have this fun app from Ovia Pregnancy that tells me her size in relation to fruits and vegetables. Of course, I love relating my child to food already. I pray everyday that she is not a pick eater! This recipe is super easy because it uses a slow cooker. Which is no doubt going to be my best friend when she is born. I found using the lettuce wraps were even more satisfying than using a bun. There are so many flavors going on between the BBQ sauce and the salsa that lettuce provides the perfect neutral crunch. There are a lot of recipes out there or bourbon bbq sauce. I looked at a recipe from epicurious and modified it a bit. I used a rice wine vinegar instead of apple cider. I also added in a but chipotle powder and miso. I think it really added to level of tasty! In a bowl whisk together the ingredients for the bourbon bbq sauce. Set the chicken breast in the crockpot and season with salt and pepper. Then pour over the bbq sauce. I also added a 1/2 cup of water to slow cooker to help the sauce cover the chicken. Turn the chicken a couple of times in the sauce to coat. Set the slow cooker on a low/medium heat setting and cover. Cook the chicken for about 4 hours or until it is fork tender, able to be shredded...Note: some crockpots or slow cookers are stronger than others so check-in on your chicken! Lay a piece of the bibb lettuce flat. Spoon chicken onto the middle and top with a spoonful of salsa and serve!